Please follow the link to LATEST NEWS. The OWGS hosts four main events for members during the year at some excellent courses such as The Addington and Royal Ashdown Forest, costing around £60 per event, including a meal. We play four matches against other Old Boy associations, and a fifth, generally at a higher standard, against the school. The society organises an autumn tour, and runs a knockout competition for members, every year (see below). In addition to these, we enter team events played off scratch. These include the prestigious Halford Hewitt and Grafton Morrish, and for the over 50s, the Cyril Gray. Although we are yet to win the Halford Hewitt, a largely youthful team means we have great hope for success in the future, especially when you consider the additional talent already emerging from the school’s golf academy. 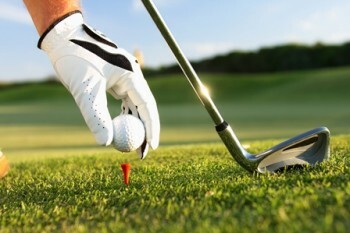 Overall, the standard of golfer ranges from a scratch handicap to 28. All Old Whitgiftians, pupils and staff (current and former) of Whitgift School, and parents of pupils, qualify to join, male or female. As such, you will always have the chance to meet up with peers, colleagues or teachers. The annual subscription is just £20. For further details, please contact the Hon. Sec. Peter Gale on 07718 641511 or peterbgale@sky.com. Latest news is available under the heading OWGS News in the menu opposite. Although not currently compulsory, it is strongly suggested that you also become a subscribing member of the Whitgiftian Association. You will then be able to take advantage of the many other benefits available, including discounted bar prices and discounted rates for hiring the Whitgift Sports Club facilities. For more information and application form, please see the Join Us section. Apart from our normal fixtures, the Society has run an annual single knockout competition since 1966. Entry is open to all members even if they are not current members of a golf club. The draw is made at our AGM, normally in March each year. There is usually an entry of about 30 and new players are always most welcome. The competition is matchplay over 18 holes with full handicap difference off the standard yellow tees. The first named player on the draw sheet has choice of home venue. There is no entry fee but the loser pays the green fee (thus everyone apart from the ultimate winner pays one green fee). The first round should normally be completed by the end of May and monthly thereafter. The competition is a great way of meeting other members of the society and there is an opportunity to play many local courses if you are drawn “away”. We had members playing last year from Walton Heath, Tandridge, Shirley Park, Purley Downs, Addington Palace, Piltdown and Royal Ashdown amongst others.